Tucked away on a 21-acre farm retreat near Centreville, Virginia awaits one of the most unique getaways you could imagine. 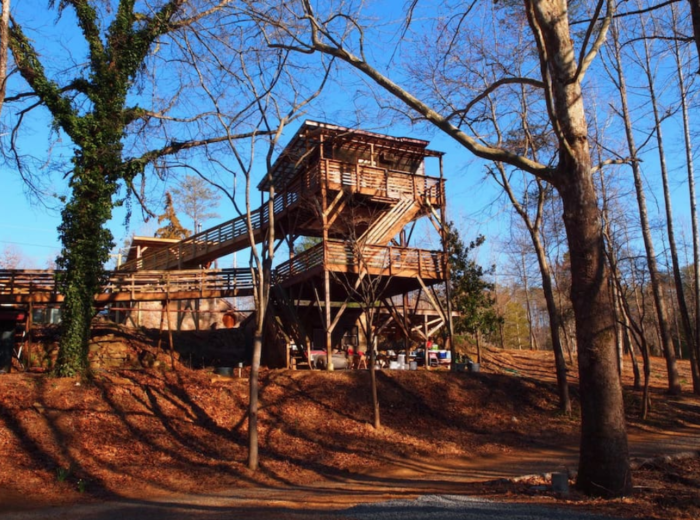 The Treehouse at Sky Lotus is listed on AirBnb and offers guests the unique experience of spending the night in a treehouse. But that’s not all! 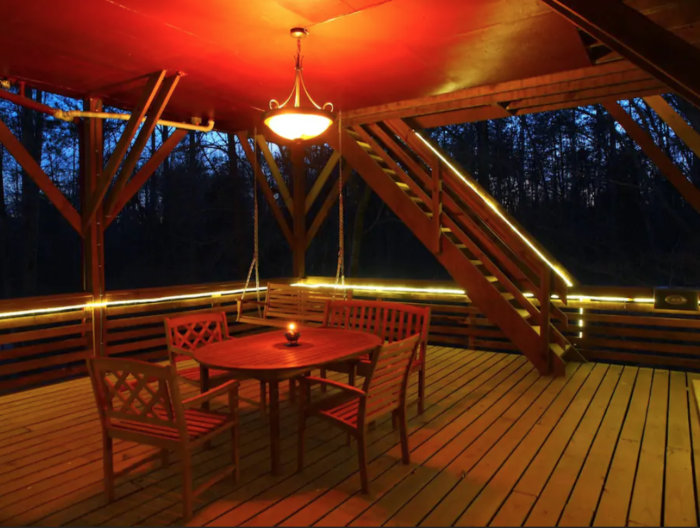 As soon as it gets dark, the whole space becomes illuminated with string lights, offering an ethereal glow-in-the-dark quality. Half spa, half cabin, this accommodation belongs on every traveler’s bucket list. If your dream getaway involves a secluded cabin with spa-like amenities, you'll be glad to discover the Treehouse at White Lotus. This off-the-beaten path location lends itself to a totally rejuvenating experience. Not to mention the fact that it's a treehouse! 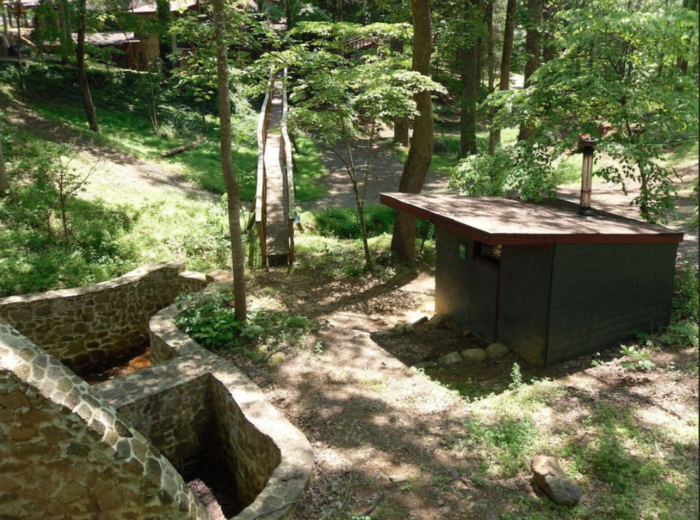 The multi-level house includes its own private bathroom, queen bed, private gazebo and swing, outdoor fireplace, and a porch for enjoying the views. 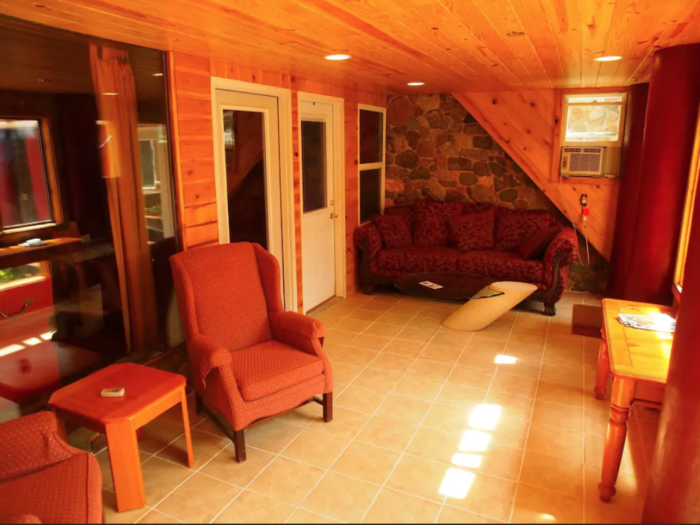 Amenities like oak and Italian tiles make the interior of the treehouse all more cozy. Plus, there's a private sauna out back that provides the perfect place to unwind. 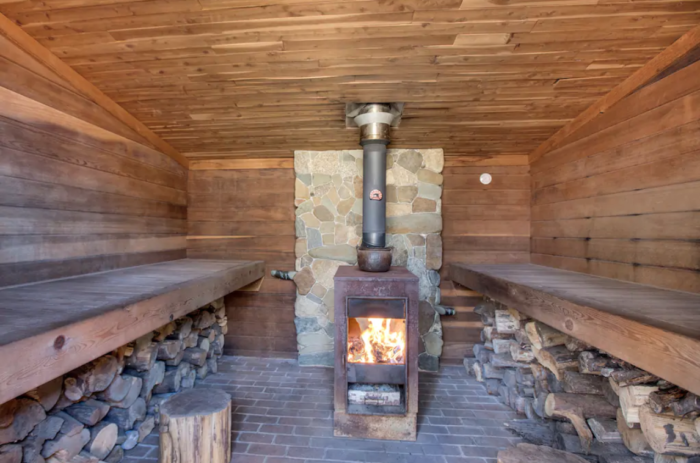 The wood-burning sauna is available for use all year and it's especially perfect for cold nights. It's hard to imagine a more secluded space for unwinding. 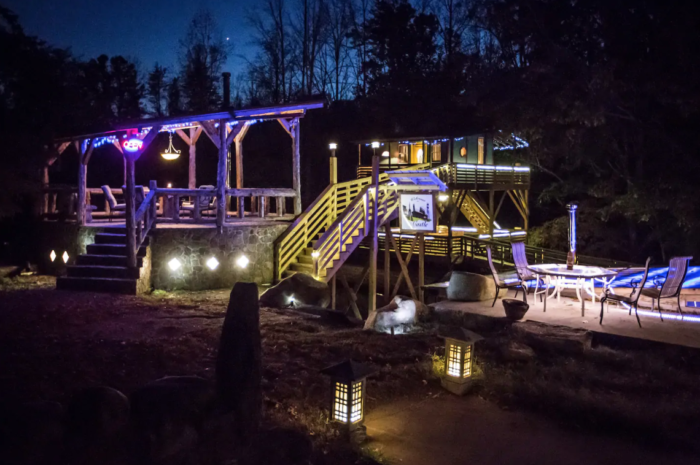 At night, you'll love the soft lighting of the twinkle lights, candlelight, and fireplace that transform the space into a glow-in-the-dark treehouse. What could be better? To check on the availability of this accommodation, you can visit the official AirBnb listing by clicking here. What are your thoughts on this unique treehouse? We’d love to hear from you! 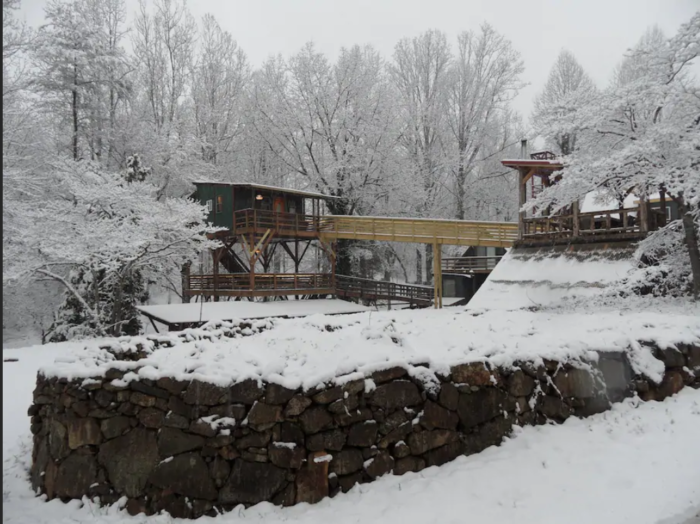 For related content, you’ll love reading about this picturesque treehouse resort in Virginia.